“If you’re thinking about going on a solo adventure, Andrea from Souljourn Adventure is the best person to guide you! She took me to all of the best spots in Costa Rica and went out of her way to show me all of the hidden gems along the way. She took the time to have soul chats over a glass of wine (or green juice), do yoga, and create a beautifully safe space for me to grow and get the most of my solo adventure. Check out Erinn’s blog on her solo travel experience and tips. “My entire life I have been striving for the next best thing. An obvious Type A personality, I was never content just sitting still and relaxing…enjoying the little things life had to offer. I was so focused on moving to the city and getting that big corporate job and working my way up the ladder. My spare time was always filled with sports, working out at the gym, getting out doors for more activity and socializing with friends and family. I was always on the go, never stopped to smell the roses…or at least not as often as I should have. Just over two years ago, I finally landed that big job with a leading company in the medical/surgical industry. Finally, all my hard work has paid off! Two weeks into the job as I was observing my first knee surgery, the unexpected happened and my life has been completely changed ever since. After passing out and hitting my head hard on the OR floor, I got a very bad concussion/head injury. Being the type A that I am…I tried to keep pushing. I kept trying to get some activity in when I could, although extremely limited and to only light walking for 15 minute intervals, tried to do the things I use to do, I even went back to the office the next day and continued to try and work from home for almost a month after the accident. Talk about issues and not listening to my body. I’m just experienced a traumatic brain injury, and instead of sitting still and resting, I was pushing. About a year into the concussion, things took a turn for the worst. In addition to the pain, tingling, numbness, visual issues and the loud ringing in my ears (daily…it never stops, not even to this day), I experienced my first panic/anxiety attack, and my whole world changed again. Just when I thought “I can manage this”…“It’s ok, I can push through and try and live the life that I was living before – even with the pain”…”it will pass, it’s just a concussion”, within a minute I was unable to leave my house because of the fear and anxiety that I experienced and when I did, it was a short period of time and an anxiety attack was always on the verge. Going into grocery stores, driving, getting a coffee, a gym setting, and a busy street…anywhere with people, noise, lights and visual stimulation caused instant fear and panic. That tight tingly feeling in your chest…the flutter, the deep breaths and thoughts of passing out or dying…knowing that you have to get out of here right now or something bad is going to happen. I now had a full blown anxiety disorder associated with my concussion and related vision issues…my brain was having a really hard time processing what my eyes are seeing (this is still an issue to this day). I couldn’t handle anything, it got so bad that I couldn’t leave my couch, even sitting on my couch in my condo in Oakville, I still had the fear…the fear of being alone and something happening. Last fall I had to give up my condo in Oakville…I was unable to work, unable to live on my own because of my anxiety and the severity of my symptoms and I had no financial support. Where did my life go?? I was unable to walk outside, unable to go into a gym, unable to socialize, unable to leave my house…but I was completely unable to sit still, in my own space, in my own body, in my own head. Sitting still caused more anxiety not to mention depression and lack of interest in life. I moved home with my parents, thank goodness I have such an amazing and loving family that was there to help me and support me when I needed it the most. I finally gave in and went on anxiety medication; it was the only thing that would help reduce my anxiety so I could somewhat function again. Living with my parents was comforting; knowing there was somebody there or close by. It took a while for me to adjust and for me to feel safe…but eventually I was able to do a bit more and just manage my pain/symptoms the best I could. The farm was nice, a relaxing place to be, but I soon realized that I couldn’t handle having people around me, dogs barking, doors slamming…the commotion and chaos of 9 grandchildren always visiting (who I absolutely love to death and always use to love spending time with ). Even having a conversation or having people talk and make noise around me increased my symptoms and my anxiety. Every morning I woke up with pain and symptoms and uncertainty…everything in my life I questioned “should I do this today” “I can’t do this it’s going to make things worse”, “I don’t feel good but I really want to do this…what should I do?” How can one person live their life questioning every single feeling they have and every event in their day? Something had to give. Almost two years into the injury with little or no relief and no end in sight, I decided that I couldn’t let this control my life anymore. 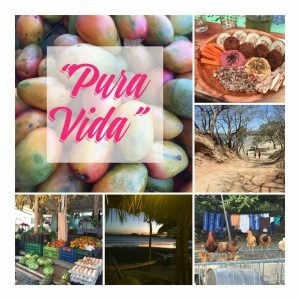 My friend Andrea, after going through her own personal hard times, had been living part time in Costa Rica for over two years…learning and living the Pura Vida lifestyle. I always knew I wanted to go to Costa Rica WHEN I was healed and she kept telling me how amazing it would be for me and for my health, but I knew I couldn’t travel. I could hardly leave my house and interact/function on a daily basis, how was I going to get on a plane and travel 6000 km to go to a destination where I didn’t know the language, and only knew one person. No way in hell, the anxiety alone would kill me! What if something happened to me while I was gone?? After sitting on the couch one day unable to do much, just feeling the tingling and numbness and pain in my head and hearing the loud annoying ringing in my ears and feeling that anxious feeling in my chest, I said enough is enough! I’m a 35-year-old successful woman with her entire life ahead of her, why am I letting these symptoms control me? I got on the computer (something else that is very hard for me to do still to this day without pain and an increase in symptoms) and started looking at condos for rent in Costa Rica. 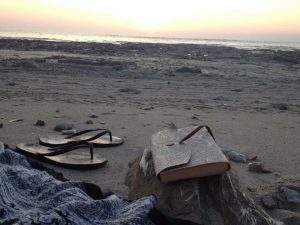 I messaged Andrea and she found me the best condo I could have ever imagined, a short walk to the beach and isolated, so quiet. She hooked me up with the owner of the condo and within a week I had sent a wire transfer for one month’s rent, got a plain ticket and booked my shots. This was happening…I was going to Costa Rica in less than 3 weeks! Thanks to Andrea’s guidance and encouragement, it was finally happening! I spent those three weeks getting ready, gathering things I would need, buying a few things when I could handle a store…I also spent a lot of those days questioning if I’m doing the right thing. Getting anxious about leaving and being alone and so isolated…what if something happened to me. The worry was unbelievable, but I felt strong. I felt inspired and capable and confident. I felt like I had some control again. So I said screw it, I’m going…End of story! The day came, I was a little nervous for the craziness of the airport and the flight…hoping my anxiety wouldn’t get the best of me. But it made it a lot easier knowing that Andrea would be there on the other end waiting for me to help me get to my condo and get settled in. A great help! I survived the airport and the flight and as I knew she would be, Andrea was right there waiting for me with a big sign when I arrived in Liberia. My condo was amazing, something I would totally live in back in Canada. Once I got settled in, Andrea showed me around the neighborhood, made sure I knew where to get groceries and helped me rent a bike so I could get around. She also introduced me to some others in the area, which really helped to make me feel comfortable, and at home. She was so knowledgeable about the area and the country (and so many other countries!) and travelling in general, that it was great to have her with me throughout my journey. Always a message away and I was lucky enough to travel around and experience Costa Rica with her. Costa Rica was definitely the most amazing and life changing experience thus far. It gave me the strength and courage to face my limitations and symptoms and to accept them as part of who I am now vs. being angry or afraid of them. It taught me that it’s OK to slow down, to relax and take time for yourself…that nothing needs to get done right away and it’s OK to do absolutely nothing. It also gave me my sense of independence back…that feeling of knowing that despite how I feel and how afraid I may be, that I will be ok on my own. When I got home, I decided that I was not going to let my symptoms control my life or hold me back anymore. Of course I still need to pay attention to them and to continue to pace myself (well try to) and to rest as needed, but I also need to move forward…get out on my own again and start living my new life. Only two months after I got back home, I found a cute little condo in Burlington and I made the move. It was an adjustment at first, but now I am happy, comfortable and excited for what life has to offer. The Pura Vida lifestyle is something that everyone needs to incorporate into his or her lives, no matter what your story or situation. Take things one moment at a time…and one day at a time. This life is yours and you are the only one who can create your reality and the life that you want. Don’t let anything hold you back. “I was very much inspired by Andrea’s life in Costa Rica. First it was the photos that attracted me, and then it was her authentic blissful smile and sense of freedom I would feel when I’d read her posts about life while she was there. She spoke so highly of this magical place and not only of its beauty but of the Pura Vida, (simple life) lifestyle. I was craving the adventure and inspiration that her journey was reflecting. I took the time to reach out to her and ask her more about it in-depth. She was extremely friendly and encouraging about it all, her sense of excitement made me also feel excited. So I took the step in the direction to plan a trip to Costa Rica with Andrea. She asked me a bunch of personal questions, like what I was looking for in a trip, what I was craving to experience or hope for. Yoga being my greatest passion, she recommended I travel to Nosara, Costa Rica where she had previously spent time and mentioned it as one of her favorite and most magical, transformational experiences. She intuitively knew that this place was for me and I trusted her with it. I checked out the website and retreats that they were offering, and I felt very drawn to experience this beautiful place she spoke of with such love and sincerity. 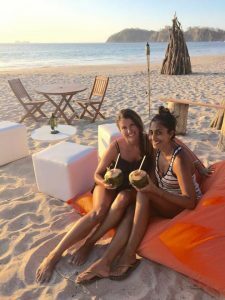 I booked my trip in August 2015, and headed shortly after in November for a yoga retreat called “Find your Essence.” As a new yoga teacher at the time this sounded exactly like what I needed and was searching for, and surely it was! Upon arriving there I connected with many amazing, beautiful, strong and independent women who were all searching for this type of place to connect with their selves on a spiritual, emotional level to find some peace and also do some inner work. I stayed in a cute little eco-cottage, which looked like a little tree house or cabin in the jungle. At first when I walked into the room to unpack I felt afraid and confused. It wasn’t what I had expected or hoped for; I thought to myself “What the heck am I doing here?” … I remember walking to the lobby and feeling very afraid and alone, it was very silent and I was stuck to sit in this place with my thoughts, demons and all other things that I had been too distracted to deal with or face at home because of my very busy work and life routine. I had sat down on a bench facing the trees and tears welt up in my eyes. I didn’t know what to do, my first reaction was to get on the first flight home, to run away. I immediately remembered that Andrea told me I could contact her at ANY time of my trip and she would be there for me. I picked up my phone and sent her a message. She replied almost instantly and asked me why I was feeling the way I did, she listened to what I said very intently and offered me comforting advice having shared that her experience felt similar to mine in the beginning. Andrea encouraged me that this was all apart of the process. Being afraid, being unsure, feeling out of place. Andrea encouraged me to just breathe, to find people to talk to, try a smoothie or delicious snack from the local café. After drying my tears and calming down, I did just what Andrea suggested. I realized I couldn’t run from these scary feelings, I am here and have to face them. So I tried to connect a little deeper, to open up and let go of wanting to stay closed off and afraid- afraid of others, afraid of this unfamiliar space, afraid of every thing around me. I stopped and told myself it was going to be okay, this is a journey and I asked to experience this. I found the others who were in my retreat group and enjoyed a delicious, vegan, organic dinner with them. We laughed and smiled and shared about ourselves throughout the evening. As the week went by more emotions and thoughts happened to stir up, constantly. I learned so much about myself in learning my reactions to my own emotions and experience. I learned so much about the people in my group and that it is okay to soften, to open up and be vulnerable… once you share with others and they share with you, you realize you really are all apart of the same thing. Not separate but rather all one. The people in my group noticed how much fear was instilled in me and how my fears alone robbed me from truly enjoying and fully experiencing every day or moments to be the greatest they could be. The people in my group taught me to let go of all of these worries, to stop thinking “What if! ?” to just let go, and trust. One of the days we were sitting by the beautiful salt-water infinity pool and Leanne (a student in my group) said to me “You know, I don’t think anything or anyone-human or animal- truly wants to hurt you.” I stopped to carefully reflect on her words and realized that she was right. My fear of this was just something in my mind but not necessarily the truth or reality. She said, “Fear is for two things, you either forget everything and run or face everything and rise.” I will never forget such words. I realized everyone on this trip is my teacher. There is no use in judgment or being afraid or staying closed off to others, because when you open up, when you listen, when you give people a moment or a chance, you learn something from them and it may stay with you for the rest of your life. Andrea checked in with me continuously, she even pulled angel cards for me one day on the trip and it made me feel truly special and connected to her the whole time. Almost as if she was there with me on my shoulder like a guardian angel. Every time I was afraid she encouraged me to let it go, every time I was sad, she encouraged me to let it out, to journal and reflect. Every time I needed guidance she was there to provide it. Andrea did not let me down once. I am so thankful to her for having experienced this incredible once-in-a-lifetime-journey. I wouldn’t have done it without her. Thank you Andrea for your patience, inspiration and guidance every step of the way. thank you so much for supporting us in Costa Rica and showering us with all of your local knowledge and love. You are a beautiful soul. Your journey is very inspiring and I’m so thankful you shared it openly with us. Plus it was so much fun to connect with you! 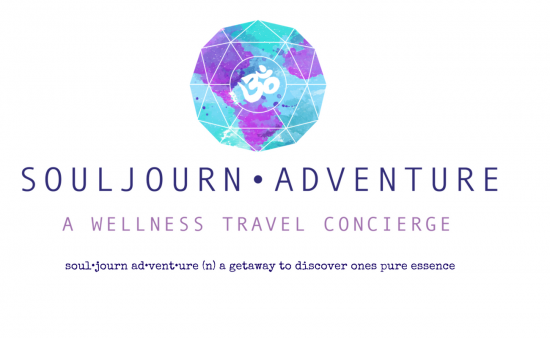 I would love to partner with you in the future for both personal travel and a wellness retreat co-creation for my clients. More to come! Thank you again for sharing your many gifts and talents with us last week, I really enjoyed getting to know you. Andrea was wonderful to work with. She took the time to listen to what I was looking for in a vacation and provided a number of recommendations for tours, services and locations that would meet our needs. She has an in-depth knowledge of the area and took extra time to answer questions I had and provide feedback and great advice. She was always super quick to respond and was great at following up with me to make sure everything was working out as planned. Andrea helped me plan the most perfect vacation. It was definitely a trip of a lifetime. She was so knowledgeable and really took the time to understand what I was looking for when helping me plan. I would highly recommend using Souljourn Adventure when planning your next vacation! Andrea is a wonderful liaison when traveling! 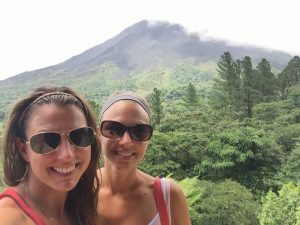 We recently went to Costa Rica with Andrea’s help & expertise she created a wonderful off the grid experience, showing us amazing restaurants, beaches and areas that we would not have normally seen! Costa Rica is a wonderful place with so much to do! Andrea was an absolute delight showing us the beauty Costa Rica has to offer! Her extensive knowledge of the country and passion for sharing it really heightened our experience and made it enriching.The time we spent with her was both relaxing and adventurous, and full of great laughs and interesting talks. We were shown beaches, scenic look outs, and points of interest we would never have found on our own and Andrea also had a ton of advice for the rest of our travels. I would highly recommend that anyone travelling to Costa Rica get in touch with Andrea – it will truly be a highlight! When my husband and I decided to take a trip to Costa Rica with my two year old, we knew who to speak with right away! 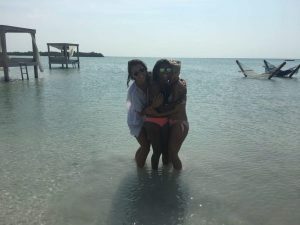 Andrea helped us make a decision on an affordable place to stay, what to see, and where the best beaches are… All recommendations proved to be great ones! We had a wonderful time! Andrea knows her stuff! Just a little note to say how grateful we are for making our first (and definitely not our last!) trip to Costa Rica so memorable. Thank you for taking care of all the details from arranging airport transportation to booking the sunset cruise. Your warm welcome on our first morning and taking us a on a walking tour of Playa Potrero was so helpful. Your detailed emails and quick responses made us feel well taken care of. You made the whole experience so pleasurable, thanks again!